Published March 26, 2015 at 400 × 400 in New! TechnoPhotoshop Activities for Photoshop CC. 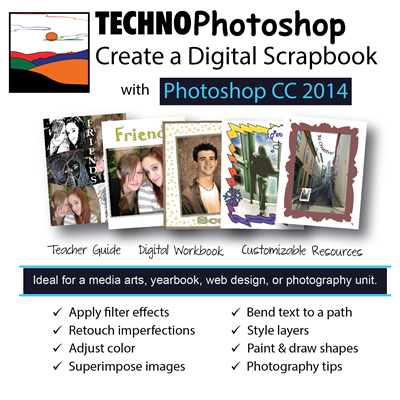 Photoshop CC lesson plans with activities for middle and high school students.